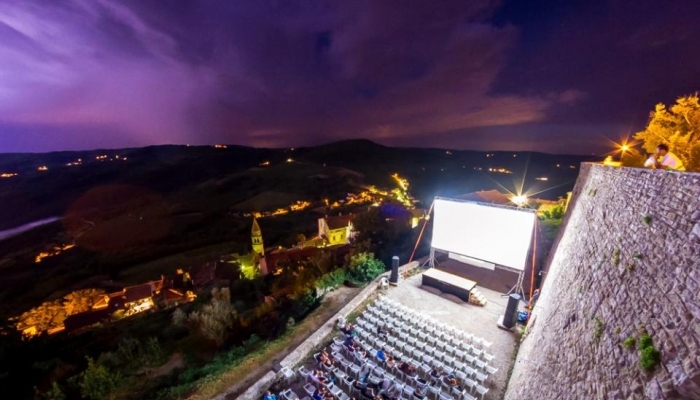 At the 17th edition of Motovun Film Festival, taking place once again this year at 227 metres of altitude, in addition to the regular film programme visitors can expect many novelties like spreading to another festival location – Buzet. This is thus a record-breaking year for Motovun by the number of screened films. Motovun’s programme takes place 26-30 July, and Buzet’s programme begins the day before and ends on 3 August. This year’s programme is meant to strike a balance between European film festival hits (Berlin, Venice, San Sebastian, Cannes etc.) and ‘smaller’ films whose power and quality fit in the festival concept. There are two Croatian films fighting for the Motovun Propeller: live action Number 55 by Kristijan Milić, one of the first Croatian war films, that paints a naturalist picture with no embellishments or attempt at creating heroes, premiering Sunday night in Pula; and the documentary film Children of Transition by Matija Vukšić, portraying the life in transition from a child’s point of view. The short film programme screens President Nixon’s Present by Igor Šeregi, Table in Between by Silva Ćapin, Thresholds by Dijana Mlađenović, and Games, the film created at the International Film Workshop, held within the Festival of Tolerance. This year’s partner country is Turkey; the Turkish programme will screen the minority Croatian co-production Kismet by Nina Maria Paschalidou. Another novelty is ‘jury in exile’ – for the first time the festival winner will be decided by a jury consisting of artists and activists whose activities forced them to leave their native countries, and the Buzz@teen programme for children and youth, aiming to raise awareness among younger age groups about European cinema they do not encounter frequently. Next to these, the Propeller winners will also be judged by the Jury of Young Film Lovers, whose work is this year supported by HAVC. Among 40 applied candidates, eight were selected, and their duty is watching, commenting and rating Croatian and foreign film works, active participation in surveys and discussions film filmmakers, and writing blogs and reviews. This is a joint project of Pula Film Festival and Motovun Film Festival; the eight of them this week are judging films in Pula and on weekend they are moving to Motovun. Early in July the winners of Motovun Film Festival’s honorary awards were announced. The winner of 50 Years Award for half a century of film work is Croatian musician Arsen Dedić, and in his honour the documentary film My Craft by Mladen Matičević. 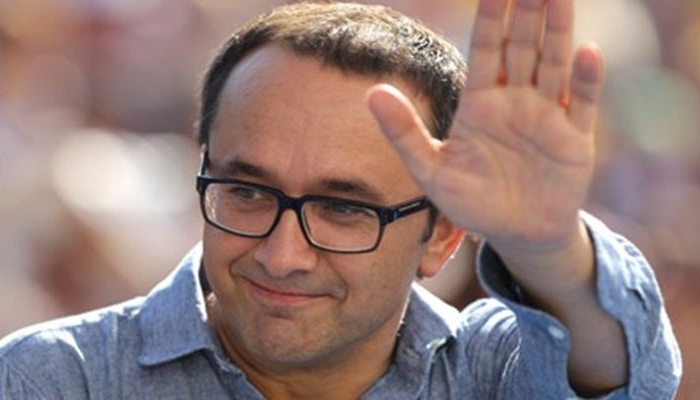 The winner of Maverick Award is one of the most important contemporary Russian directors – Andrey Zvyagintsev, both of which are this year’s festival guests. The programme boasts three interesting films longer than three hours: The Police Officer’s Wife, Stratos (one of the weirdest films of the Greek ‘weird wave’) and The Tribe, which depicts the deaf world in a completely new way, devoid of any patronising. The main programmer Milena Zajović highlighted the film Barbarians, directed by Ivan Ikić, a fierce Serbian drama full of dark humour and violence portraying the life of young people in Mladenovac. The main programme also includes: Is the Man Who Is Tall Happy? – an animated film about Noam Chomsky, while the programme Life is a Performance screens the premiere of a pseudo-documentary 20,000 Days on Earth about Nick Cave. Next to the award-winning thrillers and horrors, the programme includes Richard Linklarter’s Boyhood, whose filming took 12 long years and where the process of growing up took place directly before the camera; and All Is Lost, in which the main and only actor Robert Redford, lost at sea, says only one word. This year Motovun hosts the world-renowned photographer and conceptual artist Ulay, and the director of Billy Elliot Stephen Daldry. Ulay is visiting the 17th Motovun as the protagonist of the film Project: Cancer by the Slovenian director Damjan Kozole, following his chemotherapy process and a sort of farewell visits to friends around the world, including a touching encounter with his former partner in art and life Marina Abranović. Stephen Daldry’s Billy Elliot is one of the films whose name is firmly written in the history of Motovun Film Festival. In addition to the main award, the Propeller in 2000, one of the first awards presented to Daldry’s feature debut ever, Billy Elliot was soon after the visionaly Motovun nominated for 13 BAFTAs and three Oscars. Also, in Motovun Billy got his cinema, Kino Billy, at the location of the former Bambus bar. The festival is co-funded by the Croatian Audiovisual Centre. All the details pertaining to the main and side programme of this year’s Motovun Film Festival can be found on the official website.